According to new research published in the September issue of The FASEB Journal, chronic alcohol consumption can dramatically affect how the body handles vitamin A. Long-term alcohol consumption is thought to reduce vitamin A in the liver (the key location where alcohol breaks down and vitamin A is stored) and raise vitamin A levels in many other tissues. This makes it possible for innovative treatments for alcohol liver disease that focus on thwarting alcohol’s effect on vitamin A in the liver. For the study, multiple lab tests were conducted using groups of mice that received alcohol-free food and alcohol-containing food. Researchers analyzed the liver and other organs from both mice groups. They also measured vitamin A levels in the tissues. The mice that were fed alcohol showed clear discrepancies in how vitamin A was handled in the body. Overall, vitamin A was higher in other tissues and lower in the liver. This finding suggests that excessive alcohol consumption reduces vitamin A in the liver, and can lead to alcoholic liver disease. 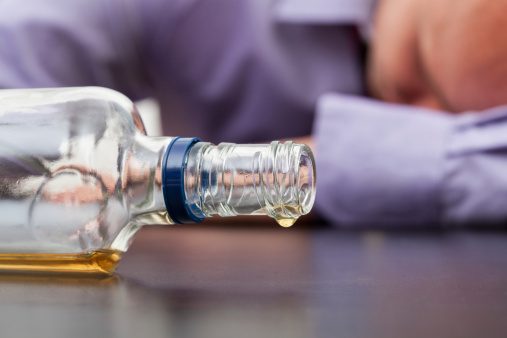 Chronic alcohol drinking is also associated with several negative health conditions such as anemia, heart disease, dementia, depression, seizures, gout, hypertension, pancreatitis, nerve damage, cancer, and cirrhosis of the liver. Clugston, R.D., et al., “Chronic alcohol consumption has a biphasic effect on hepatic retinoid loss,” The FASEB Journal 2015; 29(9), 3654–3667. “Vitamin A implicated in development of alcoholic liver disease,” ScienceDaily web site, September 1, 2015; http://www.sciencedaily.com/releases/2015/09/150901140159.htm. Freeman, D., “12 Health Risks of Chronic Heavy Drinking,” WebMD web site; http://www.webmd.com/mental-health/addiction/features/12-health-risks-of-chronic-heavy-drinking, last accessed September 2, 2015.